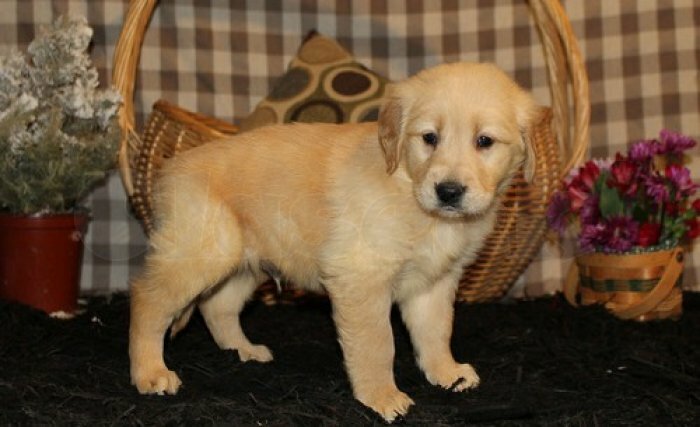 » Golden Retriever Puppies Available. This adorable pupper is looking for his forever home! He's a beautiful pup with a heart of gold. Dexter is AKC registerable,vet checked, vaccinated and played with by kids. Dexter's mother is 50#, very friendly and sociable. Father is 80# and also has a great personality.email us at ([email protected]) for more details and pics.